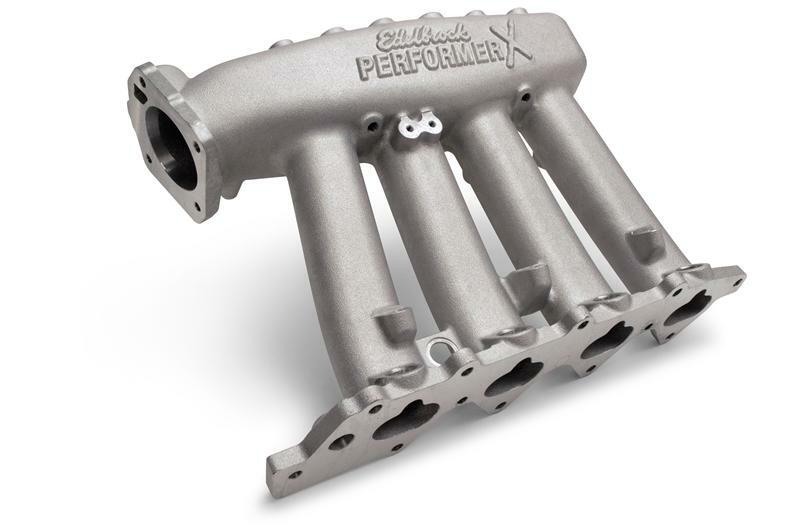 The Performer X intake manifolds for Acura and Honda’s are engineered for street/strip applications where peak torque and horsepower gains are realized between 4500-8200 RPM. The larger-than-stock plenum volume and 9” runner length are tuned for producing peak power at high RPM. The Performer X Series manifold is ideal for all-motor and turbo applications. May be upgraded to an eight-injector system by purchasing a secondary fuel rail kit and drilling through the partially machined secondary injector bosses.